Jurong East is located at western part of Singapore. It is a sub-urban area filled with HDB flats, condos and other recreational facilities. 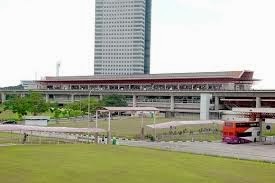 Jurong East also describe as most finest tourist destination which add to the appeal of this town. Nearest MRT is Jurong East MRT station. Jurong East is well-connected to the rest of Singapore with the Ayer Rajah Expressway(AYE) and Pan Island Expressway (PIE). Nearby Shopping centre include JCube, IMM Shopping Mall and Westgate. Educational institutions close to Jurong East include Yuhua Primary School, Fuhua Primary School, Hong Kah Secondary School, Jurongville Secondary School and Shuqun Secondary School.